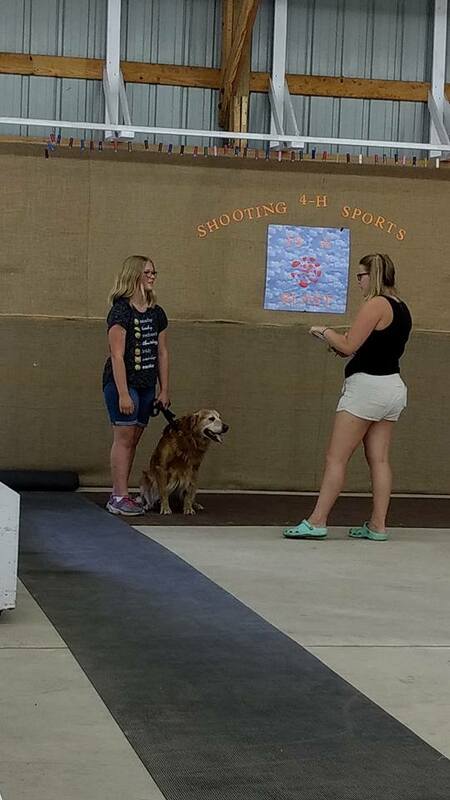 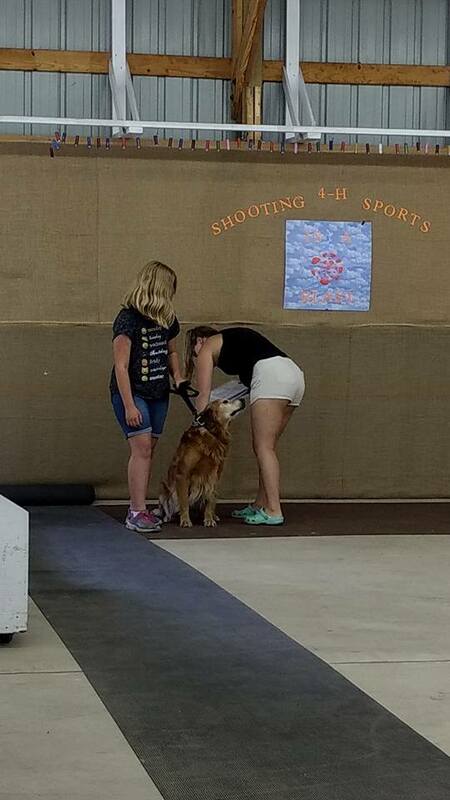 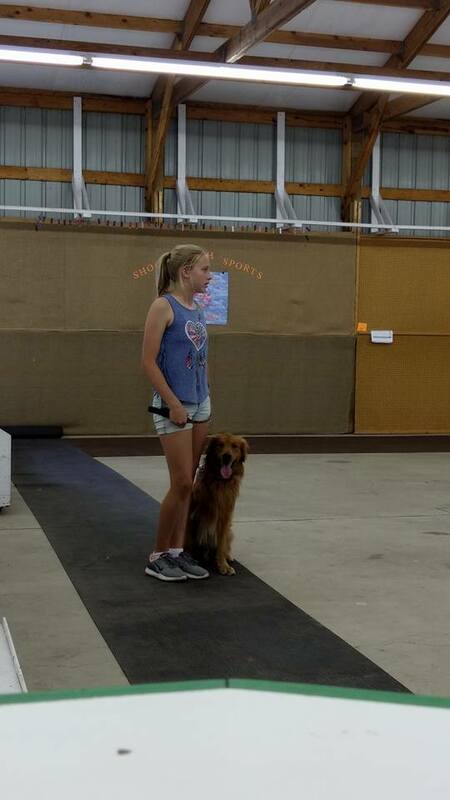 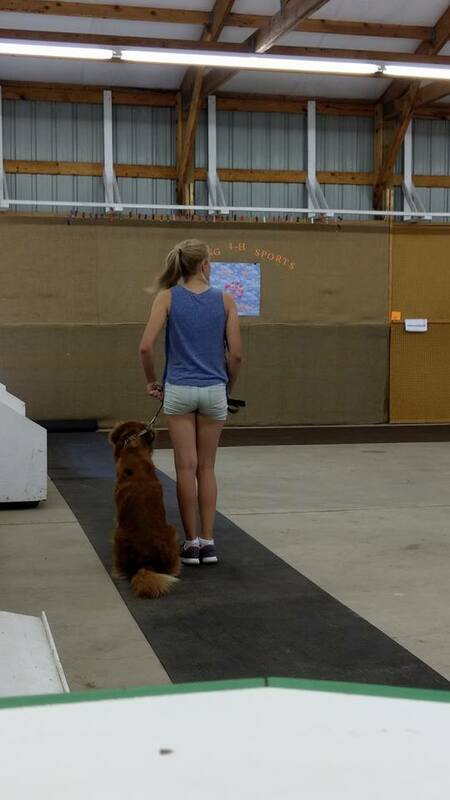 Tori, pictured in the blue tank, is showing Scout. 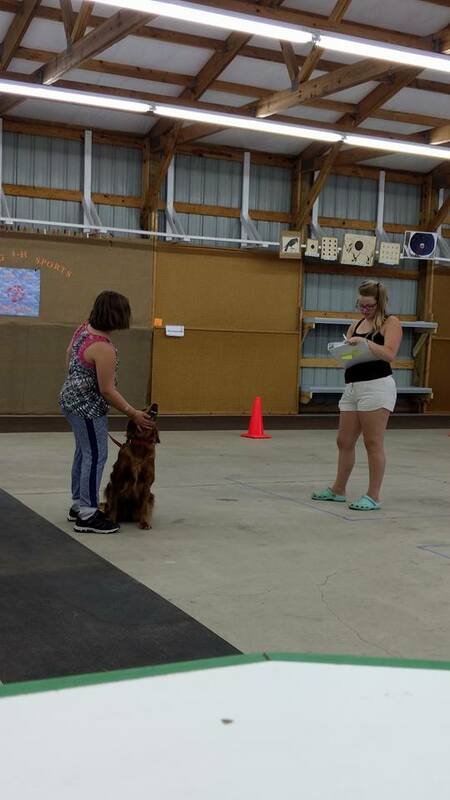 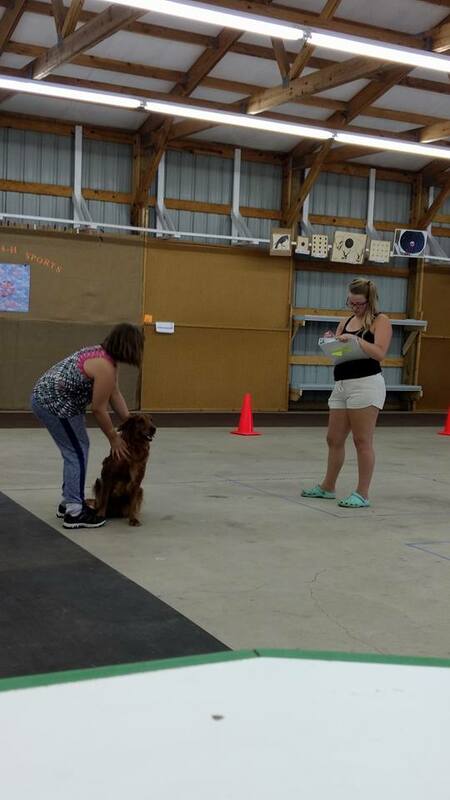 And Jasmine, pictured in the black shirt, is working with T-Rex. 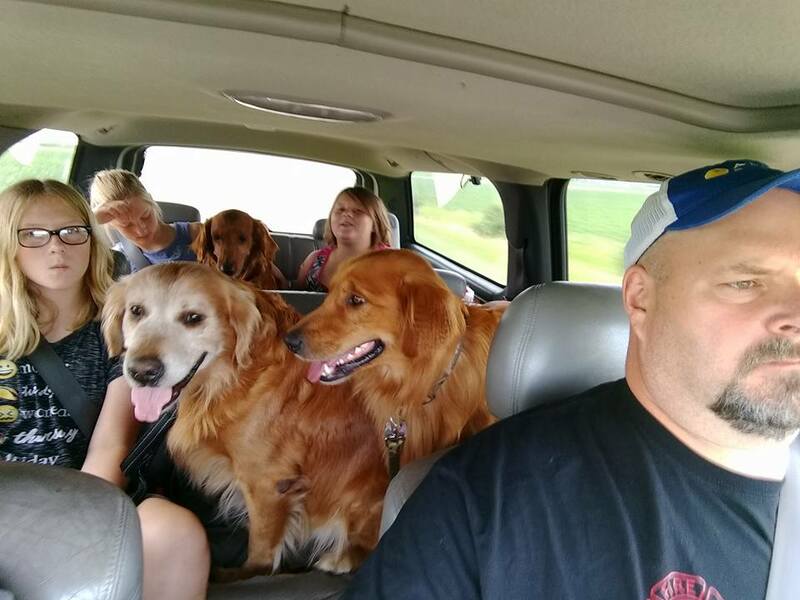 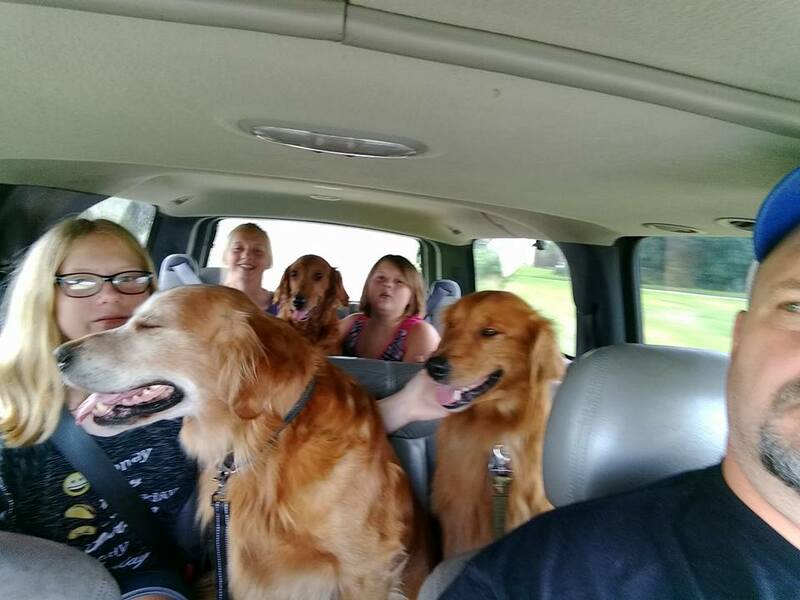 The dogs love getting into the suburban for their 45-minute drive to training night each Sunday!